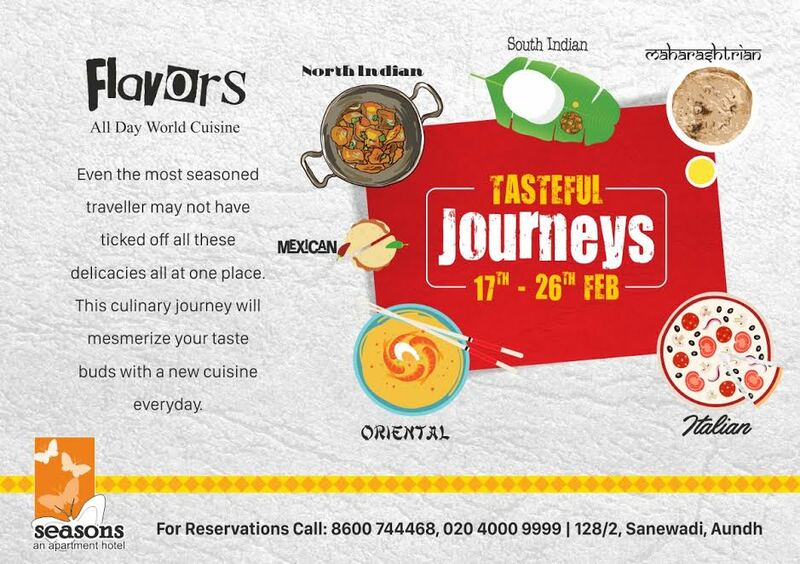 Flavors, Multi Cuisine Restaurant at the Seasons Apartment Hotel is currently hosting a 10 Day Long Food Festival called ‘Tasteful Journeys’ which boasts of world cuisines being served under a single roof. The restaurant has a lavish buffet spread for Lunch as well as Dinner with a different menu each day comprising of Pan Indian (North Indian, Maharashtrian & South Indian) & International Cuisines (Oriental Mexican and Italian). I was recently invited to sample the offerings of this Food Festival. It was the lunch buffet on a Saturday and they happened to have their ‘North Indian’ spread on. Ironically the Flavors at ‘Flavors’ fail to stand out, in spite of the humongous variety. They had Jaljeera and a Fruit Delight Mocktail on the menu. Both the drinks were pretty passable and I missed the particular North Indian touch that the Food Festival propagates. There is a live counter for Bhel and Dabeli for street food fanatics but, again with a glitch! The presentation and taste is far beyond the street food territory, a very sophisticated take which loses out on the essentials. The Non vegetarian starters lacked the zing and I would have to rate them as average. I would suggest you to insist them to serve the starters on the table for you to relish the original flavors when – they are piping hot or right off the grill. The starters laid out alongwith the remaining spread is not ideal. Also, as explained they do have a few continental dishes consistently on their roll to cater to their international guests. So the buffet is pretty much a jumbled game of dishes. Second in line would definitely be the ‘Grilled Fish in Lemon Butter Sauce’ and ‘Spicy Black Bean Fish’ which were a good try. The vegetarian dishes definitely outdid the Non vegetarian dishes on the buffet. I would definitely recommend you to try out the ‘Paneer Methi’, ‘Gobi Mussalam’ and the ‘Subz Sagwala’. 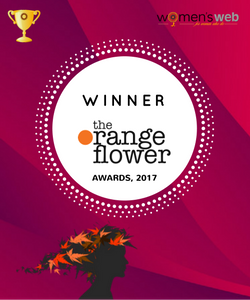 Each one unique in preparation and depicted the North Indian flavors justifiably. Give the pasta and noodles a miss, stick to ‘Desi’ for a better experience. A decent array of options here too especially the ‘Coconut Jamun’ which quite lived upto my expectations. Also, I really appreciate that they had a sugarfree (Mixed Fruit Trifle) and an eggless option (Mango Mousse) to cater to health conscious patrons. Overall, the options available are vast and you may happen find a dish that is in tune with your palate. Do not go by the rules and construe the words ‘tasteful journeys’ very strictly. The buffet seems like a pretty mix but may or may not satiate the foodie in you. Disclaimer: This Review is based on a complimentary invite extended by Seasons Apartment Hotel. The opinion expressed in the review is entirely my own and in no manner influenced by any party.